North Yorkshire doesn't fit in with the usual picture that most people have of mines and mills. It seems to have escaped the Industrial Revolution of the 19th century remarkably unscathed. What remains for visitors to see is a backdrop of stunning countryside that ranges from open moorland to high hills. There is even a stretch of dramatic coastline thrown in for good measure. North Yorkshire boasts two national parks, both of which tend to become incredibly busy during the summer months. Over eight million people visit the green valleys and upland pastures of the Yorkshire Dales each year. This area is particularly popular with caving enthusiasts, who come here to explore the underground twists and turns of Gaping Gill and the White Scar Caves, amongst many others. The North Yorkshire Moors attracts legions of walkers, keen to see its vast expanse of purple heather-covered moorland. most notably Rievaulx Abbey and Fountains Abbey. 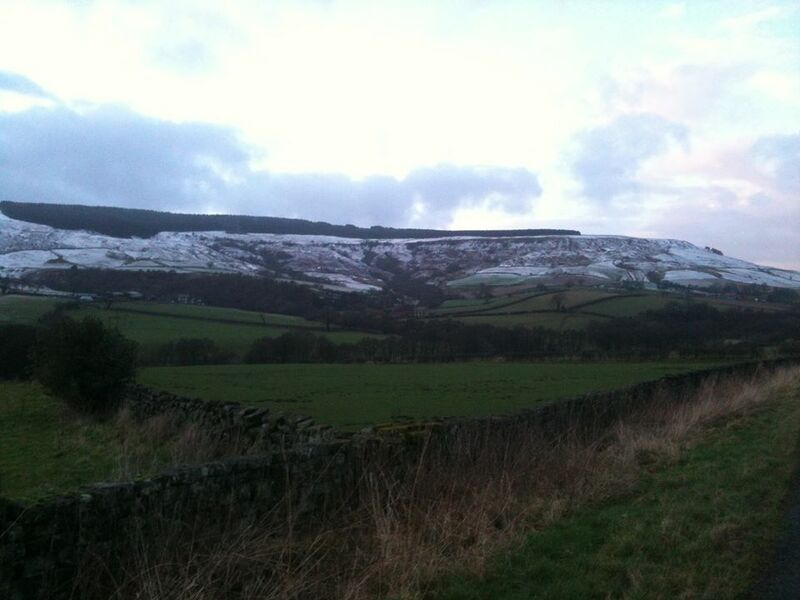 Bilsdale - Bilsdale is a special place in the North York Moors National Park. Roseberry Topping - At just 1,049 feet high, Roseberry Topping may not be the biggest hill you'll ever see, but it will certainly be one of the most distinctive. Its shape, caused by the combination of a geological fault and a mining collapse in 1912 has made the hill the most beloved landmark in the Tees Valley area. With its half-cone summit and jagged cliff, some say it reminds them of the Matterhorn in Switzerland. Richmond - The first of all Richmonds of the world, the Yorkshire Dales market town, with Norman castle, Georgian architecture, large cobbled market place, monuments and abbeys, the fast flowing river Swale, and breathtaking scenery. Richmond Castle - Only two stone built castles in England are equal in age to Richmond Castle. They are at Colchester and Durham. Green Howards Museum - The 318 year story of a Northern County infantry regiment in peace and war. " Undoubtedly the best regimental collection in the country"
Harrogate - With so many beautiful and unusual sights to see in Harrogate District, it’s no wonder that tourists come back year after year. Harrogate is famous for its horticulture, historic buildings, stunning scenery and natural springs, making it the perfect place to sight see without spending a penny. English Heritage in North Yorkshire - From the fascinating Servant's Wing in Brodsworth Hall to the stunning architecture of our Gothic and medieval abbeys, there is plenty to discover in Yorkshire this season. "We are currently in our winter season, which means that while many properties are open at weekends, there may be restricted access during the week. Please check opening times before travelling. " Richmond Castle - With its breathtaking views of the Yorkshire Dales, Richmond Castle fully deserves its place as one of the finest tourist attractions in North Yorkshire. 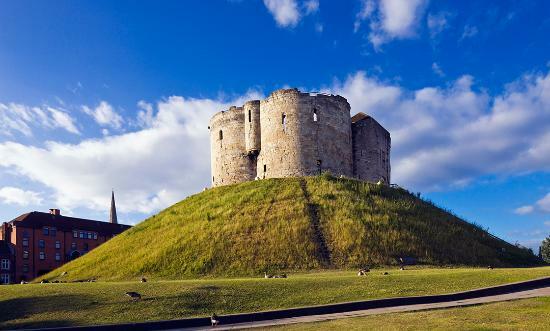 The castle was originally built to subdue the unruly North of England it is one of the greatest Norman fortresses in Britain. Scarborough Castle - With its 2,500 year history, stunning location and panoramic views over the dramatic Yorkshire coastline, Scarborough Castle fully deserves its place as one of the finest tourist attractions in the North. It started life as an Iron Age Fort, was occupied by the Romans, became a Viking settlement and reached its heyday under Henry II. Whitby Abbey - Set on a headland high over the popular seaside town, Whitby Abbey is the perfect choice for a great value day trip in Yorkshire. It's easy to see how Bram Stoker was inspired by its gothic splendour when writing Dracula. This is one of the most atmospheric visitor attractions on the Yorkshire coast. Helmsley Castle - Unlock 900 years of life at Helmsley Castle, a must-see for any visitor to the picturesque market town of Helmsley in the North York Moors National Park. Middleham Castle - No day out in the Yorkshire Dales would be complete without a visit to Middleham Castle. Once the childhood home of Richard III, you can relive the Castle’s illustrious history and unlock the deeds of its great owners. £4 to £15 , if you are going to visit 3 or more attractions in a year I strongly urge you to consider buying a yearly pass . Available on the English Heritage website . "For just £48 a year, English Heritage members get free entry to our properties and exclusive discounts." 12 months for the price of 9 ! !